So! How did it go? Are you ready for step two? If not, no worries. Start with Step One right now! Then come back and move on with Step Two. This step is more of a philosophy than an action step. You could do last week and this week in one day if you want. Don’t worry, we’re going to use those boxes you have too! Ok, now that you have the paper under control, here’s a rule I’ve lived by for many years now. Oh, don’t get me wrong, I’m not perfect at it and you won’t be either. I’ve included a pic of the floor beside my chair today. Rule 1: touch each peace of paper once. A word of caution, if your space starts to look like mine, well. It’s time for a reset! I’m resetting later today. This works at the office too! I’ve been self-employed as well as employed by others. Using this technique has kept my workspace clear. Therefore I am able to focus on what is important. Try it! I promise you will be liberated from the avalanche of paper that threatens to consume us daily. If you are like me, scheduling time to take care of bills, reading, and letter/card writing is essential or it just doesn’t get done. Take a look at you calendar for the past month or so. Look for some time you normally don’t have anything scheduled. Is is a half hour before lunch on Tuesday? Maybe it’s an hour after dinner on Thursday. Whatever the time, schedule one or more of these tasks at this time. Block the time on your schedule. You are more likely to do the reading, write the letters, and send the letters or cards if you have time set aside to do so. Another trick, whenever you are at a location that sells greeting cards or stationary make sure to wander the isle and pic up whatever you need. It’s okay if it’s months ahead of time too! I’ll give you some tips to organize your correspondence too! When the read later basket gets half full, set aside some time for your reading and DO IT. Have a notepad by your side, paper or electronic, it doesn’t matter. You saved these things to read so you could glean from them. Glean! Make the time useful and take your notes in a way that will help you utilize your gleanings at home or at work, whichever may be the case. 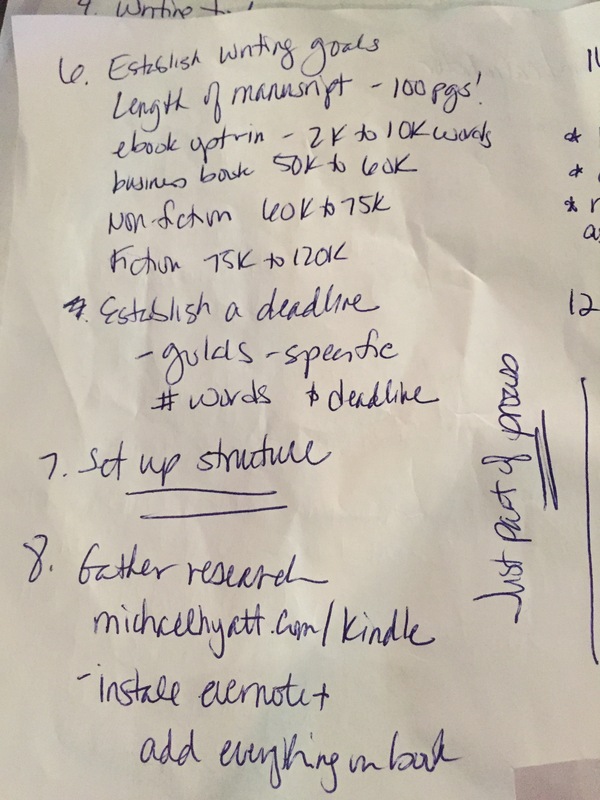 I’ve got a pic of some notes I took manually from an article on writing. I’m one of those people who remember things best when I write them down. There’s just something to putting pencil (or pen) to paper! I transcribe them later so I can keep them organized. To make it more fun, I often use purple or green pens to take notes. I love to write with pretty colors and it makes reviewing and transcribing them easier. So, you’ve got your plan for reading and corresponding! You probably already have a system for paying your bills, but if you don’t, pay them each payday! Grab that basket holding your bills. If possible, set up auto payments. You won’t have to worry about being late ever again. If auto payments aren’t your thing, or something can’t be auto paid, get your checkbook and get it done. Whichever way you choose, your bills will be in one place when you need to pay them. That errant water bill won’t be sitting on top of the dresser in the bedroom. Okay, okay! You’ve been waiting so patiently. This is probably going to go against everything you feel like you should do to tackle the disorganization. There’s that huge mess in the pantry, and probably your closet(s). Maybe you are like me and put things in spare rooms. You know, that one you meant to turn into your yoga space or man cave? Start with the cleanest room! Why? You will feel an mediate sense of accomplishment. Feeling like you have accomplished something will fuel you to keep going! So, what room is it? Each box needs a label. We will use: KEEP, TOSS, and DONATE. Take a look at each item in the room. And, I mean really look at it. When was the last time you watched that DVD? That book, you read it two years ago. What is it still doing here? Your Mom gave you that wall hanging and you dutifully hung it but secretly you’ve never really liked it. As you look and evaluate each item, place it in the appropriately labeled box. If it’s too big for the box, like a piece of furniture, use a sticky note to indicate whether it is to keep, toss or donate. Go through everything in the room. Open drawers, closets, boxes, etc. If you haven’t looked in a box in over two years, out it goes. That is unless it is your grandmother’s China. You might want to gift these heirlooms you don’t use to another family member who will. Whew! We started in the cleanest room. Good thing right? Now let’s get some order going! You are simplifying, not hurting other people’s feelings. This is YOUR space and you are entitled to have it as simple or cluttered as you want. Can’t make yourself even think about parting with that walking stick your grandfather carved? No problem! Keep it. Make it part of your space! Let me know what room you worked on! I want to know how you are doing with this whole process. Also, if you’ve got questions, I’m right here! Next week we will tackle the bathroom! Yep, you’ll need those boxes so get your garbage run done and make those donations! 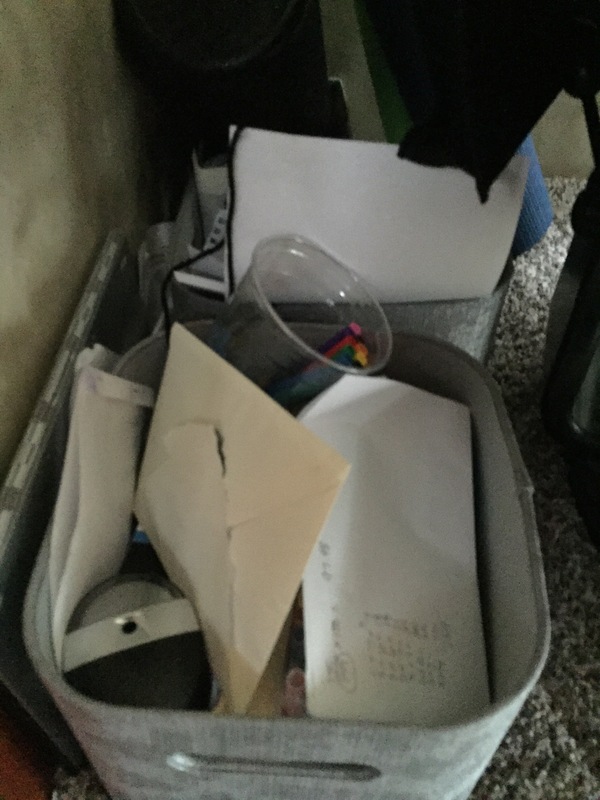 If you are wondering what to do with the stuff your keeping, move it around, see how changing it up feels. If you are left with stuff that goes nowhere, get a box for it. Just don’t buy anything new! Not yet anyway. Rest assured, these things will find their homes as you keep going! Until next week, enjoy your start on living simply. Hello! I have nominated you for a 3 Day Challenge Quote. Because you were one of my fisrt followers! Thanks! Rules are easy: one quote for 3 consecutive days and nominate 3 people each day.